Ready to retire to the country? Then do it right. Consider as your new home this 3,900 sq. 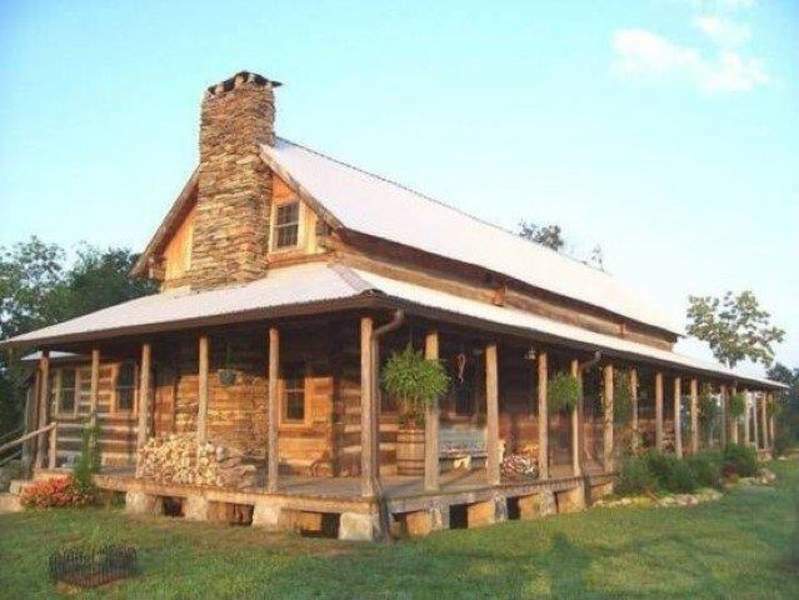 ft. log home on 35 acres bordering the Smith River in southern Virginia. Home was built in 2004 of reclaimed 100-year-old hand hewn chestnut logs.. Very secluded, rustic and yet with all the modern conveniences including WIFI. There is a large master bedroom and large master bath suite downstairs with a large walkin closet. . There is also a second large master bedroom and bath upstairs along with a third bedroom and an extra room 490 sq. ft. with unlimited possibilities. There is a dream kitchen/dining area with a new gas stove/oven a wood stove, a work island with double sink and cutting area and ample back counter. The cast iron wood stove produces enough heat to warm most of the entire first floor. The great room is enormous 16 x 42 with an open design that could be made into 2 separate areas such as as a living area and a formal dining area. There is an awesome stone fireplace with a mantle is from an 1890 farm house as are the chestnut logs in the great room. A charming reading nook adjoins the great room. There is a half bath also on the first floor. On the second floor, the master suite has French doors that open to a balcony overlooking the river. There are walkin closets in both upstairs bedrooms. There are 2 ac units, one for downstairs, one for upstairs, both with their own thermostats. There are 2 heating units, one gas, the other electric (Heat Pump). There is a 500 gallon underground propane tank. Throughout the home there are numerous antique sconces and pewter hanging lamps. One of the best features of this home is a large verandah that is perfect for enjoying a sunrise cup of coffee. The 35 Acres is composed of approximately 8 open acres and 27 wooded acres. 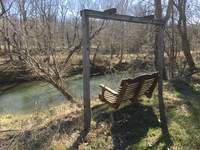 In addition to approximately 900 feet of river frontage on the Smith River, a meandering stream runs through the east side of the property. The home features 5 raised vegetable beds, an herb garden, apple, peach and walnut trees, and a large grape arbor. There are truly too many amenities to mention, so come take a look for yourself.. You will be amazed.